You can obtain any of the nine pieces of a Moonlight Pentagram in loot from Ilshenar creatures. Placing all 9 pieces of a pentagram inside a Moonlight bag and shaking will combine them into a Moonlight Gem, and vice versa. 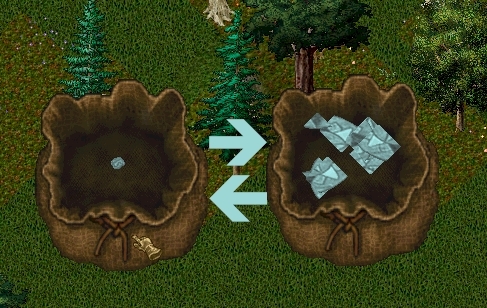 Moonlight Gems are one of the required ingredients for creating the Moonlight Artifacts.